Whether you’re a professional live gamer or just getting into video blogging, one must-have piece of equipment you’re going to need is a webcam for streaming your video feeds. Today, most laptops come with built-in HD webcams. However, if you use a PC for your gaming or streaming purposes, your PC probably doesn’t have a webcam unless you’ve purchased and installed one yourself. Fortunately, there are plenty of webcams on the market to choose from; from cheaper, low quality models, to more expensive HD cams. But since there are so many webcams to choose from, it can be difficult to find the best model to suit your needs. And, if you happen to be planning on launching your career as a live streamer or video blogger, using the wrong webcam could grind your career to a halt rather quickly. So, don’t take a gamble and buy just any camera out there. In the following article, we’re going to go over our review of the best webcams for live streaming. To buy the right webcam, it’s crucial to understand a few things. First, think about what you’ll be using your webcam for. Will you be using the webcam for training webinars, video chatting, video meeting, or video podcasts? Secondly, webcams are like computers in that they come with many different features, such as resolution, focus, zoom and price. Therefore, it‘s good to know the features that are important to you, so that you only pay for the features you actually need. To identify the right webcams for streaming, I’ve went over many different factors such as their compatibility with different operating systems like Windows or Mac and each camera’s unique attributes that makes it stand out. The first and perhaps most important component of a webcam is its resolution, which is the amount of detail that a camera can capture in a single snapshot. It is measured in pixels per inch and denoted as PPI or simply P. A webcam featuring high resolution (from 720 and above) is recommended for most streaming operations. Note that many modern webcams only support high definition video capture. If a camera is of low resolution, the images and videos tend to have a grainy appearance. Another crucial component in webcams is the frame rate. This is the number of individual frames that make each second of a recorded video, and is denoted as frames per second (FPS). If the webcam has low frame rates, the images easily stutter and at times, freeze on the your screen. That said, your goal should be picking a webcam with higher FPS. A rate of 15 FPS is okay for most video streaming, although you’re better off with rates that are higher than 30 FPS. Here is the list of the top ten webcams to help make your video streaming professional and fun too. The Logitech C922x Pro is designed with specs that make it a reliable option for the gaming community. It provides a sharp resolution of 1080p and a frame rate of 30 FPS. This means it has the highest resolution among the cameras discussed in this list. It also implies it is a very good webcam for streaming videos, and is, therefore, worth the investment for professional streamers. Its automatic light correction capability makes it possible to stream in poorly lit environments. The auto-correction feature is boosted by the automated focus that helps deliver razor-sharp images and consistent videos. Though the Logitech C922x Pro is one of the more expensive options on our list, you’ll be impressed by its background replacement technology, which allows you to integrate live images on the background scenes. You can even do this when you’re live streaming a video. 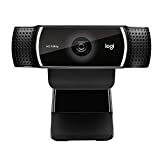 Overall, the Logitech C922x Pro is a reliable webcam. It has a sturdy construction and the capability to deliver good high-quality videos and images. Plus, it’s also easy to use and compatible with most operating systems including Windows and Chrome OS. The following is a summary of the main pros and cons of the Logitech C922x Pro. The HP HD 4310 Webcam is a very well-known camera for its ability to support three-way video calls. This makes it a great option for video conference, as well as live streaming. It also allows you to stream on Facebook, and store your contacts in a specified location on your PC. The webcam features an impressive 1080p resolution, which helps make images and videos sharper. HP went a step ahead to include a true vision light adjustment feature that helps automatically adjust the image clarity based on background lighting levels. This has been very useful in enhancing the experience of video conferencing because you can still make great videos, even when stuck in a poorly lit rooms. As for performance, the webcam is capable of hitting a maximum of 1080p at 30 frames/second. Therefore, your videos will play smoothly and clearly on laptop, PC and mobile screens. However, it’s important to note that streaming can also be affected by your internet connection. Therefore, it’s prudent to ensure that your internet is fast and stable, especially if you plan on making professional-looking videos. Overall, I found the HP HD 4310 Webcam to be a reliable webcam, whether for personal video calls or video conferencing. Though the webcam may not be the absolute best webcam out there, it’s still a great choice for users who need high frame rates and excellent shooting capabilities. Easy user interface for both experienced and new users. The Mevo Plus was designed as the advanced model of Mevo Camera that was originally created for Facebook Live. As an improvement to its predecessor, Mevo Plus allows users to create videos at impressive resolutions; both 1080p and 4K. The most impressive thing about the webcam is that it works on both mobile platform, as well as PCs. If you’re traveling, your phone makes it possible to easily stream high-resolution videos while on the go. I found this webcam particularly impressive because it allows its users to easily edit their videos using multiple editing tools directly from their phones. This is especially impressive for travel bloggers who cover events while on the go and want to stream their videos live. Though the webcam is on the more expensive end, I found it to be a very impressive webcam, especially for those who want top notch videos and on-site video-editing capabilities. This weird-looking webcam is one of the best options for the gamers out there. It’s designer, Razor, stripped the webcam of most of the fancy additions found on other high-end webcams, such as the live editing tools on the Mevo Plus, to concentrate on what matters most to gamers; lighting and image quality. It features an adjustable ring light that helps to remove shadows and auto-balance lighting in the video. The webcam further combines high frames per second (fps) for chatting and video recording (720p 60fps and 1080p 30ps), which makes it a great Twitch streaming camera. Overall, this webcam is a great option for streamers, especially for its impressive performance and ease of use. Its design as a plug and play device makes setting it up easy and its use enjoyable because you do not have to worry about updates. Plus, it supports most of the more popular gaming hardware in the industry. The LifeCam is designed with an impressive glass element, and is meant for users who use larger displays. It provides a combination of 1080p and 720p live video calling, which makes it a good option for both video conferencing and gaming. The webcam rotates 360 degrees to help you easily capture video on all sides of the room. But, that’s not all. You can also mount it on a tripod and use its auto-focus feature for automated streaming sessions. Its wideband microphone helps deliver crystal clear sound and further, cancels out background noise to ensure that all your viewers don’t miss any details. The main challenge with the LifeCam is that while the resolution is impressive at 1080p, the highest that you can achieve when live streaming is 720p. Here is a closer look at some of its pros and cons. The Logitech BRIO is packed with impressive features that help make its video streams as natural as real life. It’s among the best webcams for video conferencing because of its high-resolution 4K Ultra HD camera. The webcam generates razor sharp images by adding light to the targeted subject. It also uses high tech optics and lenses that guarantees professional quality visuals. The sound clarity of Logitech BRIO is impressive because of its omnidirectional mic, which helps cancel out external noises. It also eliminates the need for headsets, when running your video conferences. The webcam is powered by USB ports 2.0 and 3.0, which make it easy to use by simply plugging it into your PC. Note that a USB port 3.0 is needed when running 4k videos, which feature a horizontal display resolution of about 4,000 pixels. Because of its 4K resolution, the Logitech BRIO is expensive compared to some of the other options on our list. However, I found it to be an overall great webcam because it guarantees clear images and videos. Here is a closer look at more features and the webcam’s pros and cons. While most webcams are designed for specific platforms such as Windows or Mac OSX, the Ausdom AW620 was created to work with almost all of them. Ausdom went ahead and simplified the webcam’s operations by making it a simple, plug and play device. So, no matter your platform, simply plug it in and you’ll be ready to go ahead and use its impressive streaming capabilities. The webcam features a 1080 pixels resolution at 30 FPS, which makes it a good option for gamer. Plus, it comes with a manual lens focus, that makes it easy to target specific objects when streaming or gaming. Overall, I feel the webcam is very good because of its features such as the built-in mic, which helps clear noise and captures sound clearly for your target audience. 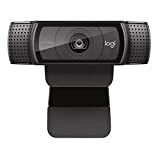 Indeed, this webcam has become the must-have piece for many of the top streamers in the industry who desire crisp, clear videos, without spending a forunte. Here is a closer look at the additional features, pros, and cons of the webcam. Want to capture a large area during your gaming or video conference sessions? If the answer is ‘yes’, this is the camera for you. This webcam provides an impressive range of 120 degrees, which can cover up to five people at a time. Its wide range is also preferred by office employees when holding video conferences. The webcam provides a solid image quality of up to 12MP, which isn’t the best, but still rather impressive. Plus, it’s also very easy to setup and start using. So, you only need about a minute or two to install and start using the webcam. The WideCam F100 is sold with ArcSoft Webcam Companion software, which allows you to record full HD videos and edit them instantly. It also makes it easy to integrate the webcam with platforms such as Facebook Messenger. 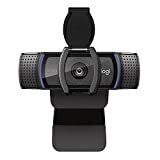 Though this webcam does not have as many features as some of the other top webcams such as Mevo Plus, I found it to be an overall good webcame because of its ease of use and other factors such as the 12MP and 120-degree wide angle lens. If you’re looking for a camera that combines quality and ease of use, the AUKEY PC-LM1A is a great option for you. It’s preferred for its wide field of view, which hits a maximum angle of 80 degrees. This view is wide enough to show two people in the camera at the same time. Its performance is enhanced by the Automated Light Adjustment feature that makes it effective in a wide range of lighting conditions. If the lighting is poor, the webcam adjusts its lighting exposure to ensure that the objects of interest in the video are clear and impressive. Overall, the webcam is impressive because of its unique features such as the Automated Light Adjustment and large field of view. Although the AUKEY PC-LM1A’s field of view is only 80 degrees, which is dwarfed by the WideCam F100 that extends up to 120 degrees, many users are still impressed by its hassle-free setup, which only requires clipping it on top of your PC and plugging it in via a USB port. 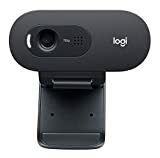 If you are interested in a cheap, but decent webcam for common Skype and Facebook streaming functions, you’re better off with the Logitech C270. To put it differently, it’s the best budget streaming webcam you can get. At just under $20, you’re sure to enjoying its rather impressive video capture capabilities of up to 1280×720 pixels. This allows you to enjoy streaming great videos, especially on social media platforms such as Facebook or Skype. Its ease of installation, setup and use has made many people consider it the entry option into the world of live streaming. It provides high definition (HD) capability and the images are pretty good, even when taken some distance from the camera. As more streaming webcams keep entering the market, the truth is that getting the ideal piece for your specific needs will become more and more difficult. So, how can you tell what is the right webcam for your situation? Here is the complete guide to help you identify the best model and get the best value for money. The right resolution for you should be guided by what you want to do with it. Though higher resolution webcams are considered better, it is important to appreciate they do not come cheap. If you only need a webcam for common video calls on Skype, resolutions between 720 and 1080 should be ok. But, for others who want advanced video conferencing and gaming capabilities, it’s advisable to go for resolutions above 1080p and high definition (HD) ready options. Remember that the bigger the resolution, the more bandwidth will be required for live streaming. There is nothing worse than a webcam that can only be aimed at one spot. Therefore, it’s advisable to go for an option that can easily be turned in many directions, without having to disassemble it. Today, you can find many webcams that provide up to 360 rotating capabilities. For webcam users who expect to regularly move around or want to capture different objects when streaming videos, it is advisable to go for webcams with an autofocus feature. This allows the camera to automatically adjust its focus so that the video remains clear no matter the distance of the object of interest. Only go for the webcam that falls within your budget limit. The good thing with webcams is that they are available on a wide range of price spectrum. For example, you can get a webcam for as low as $20. However, you’ll need to go for a pricer option in order to enjoy many top-notch features such as video-editing and intelligent noise filtering. Do you use Mac OS or Windows? It is important to only go for the webcam that is compatible with your operating system. Do not stop there! Go ahead and make sure to choose a webcam that is easy to update to ensure you can enjoy the latest features. As video conferencing, video marketing and video blogging continue to gain popularity, having a reliable webcam is becoming crucial if you want to succeed in these industries. The best webcams for streaming I reviewed above were selected based on their resolution, the frame rate (fps), ease of use, and compatibility. Webcams come in a wide range of prices to ensure that no matter your budget, you’re assured of being able to find a matching webcam. Before picking a webcam for your streaming purposes, ensure to follow the outlined guide carefully. Above all, it’s crucial to select a webcam that matches your intended use. Do not simply pick any webcam in the market; only go for one that guarantees the best value for your money. Edward Eugen is a 24-year-old Blogger from Romania. He is a cisco certified Network Engineer and currently doing Masters in Networks Security from the Spiru Haret University. Read more about him. Copyright © 2019 · 10Beasts.com, All Rights Reserved. 10beasts.com is a participant in the Amazon Services LLC Associates Program, an affiliate advertising program designed to provide a means for sites to earn advertising fees by advertising and linking to amazon.com. Amazon, the Amazon logo, AmazonSupply, and the AmazonSupply logo are trademarks of Amazon.com, Inc. or its affiliates. As an Amazon Associate we earn affiliate commissions from qualifying purchases.